How Does CBD Help Pets? And What Are The Best Dog CBD For Anxiety, Pain And More And What About Cats? People? 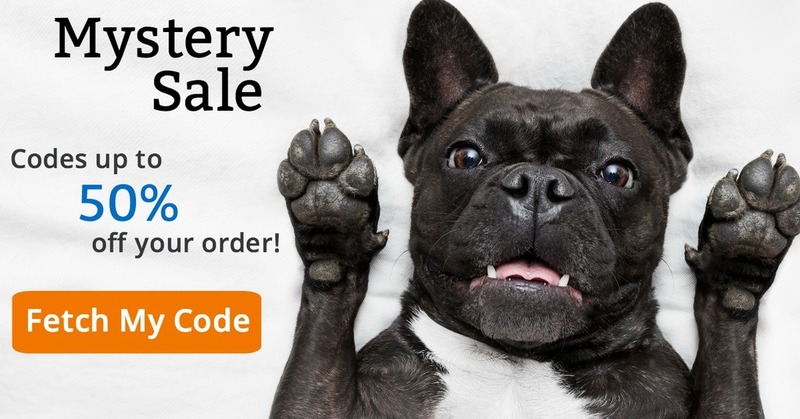 What is unique about these CBD for Pets products are the many options with flavors your pet would truly enjoy like bacon, chicken, cheese, beef, steak and more. They offer different products for your type of pet and size too. And they have CBD tinctures, bite, treats, biscuits, sprays… There’s CBD that offer help for specific conditions and issues like even tartar control. 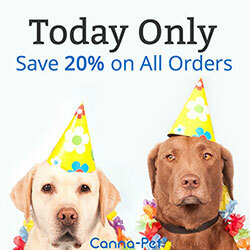 So just click to learn more about what they offer for CBD for Pets. And they have many options for people as well in terms of CBD. Canna-Pet Helped My German Shepherd Xena! CBD Hemp Products are for all pets and animals including horses! I bought and used Pet Anxiety Relief in the form of CBD Oil For Dogs and Cats – Canna-Pet for Dogs for Xena as noted in the review on this page and can tell you it helped her…just watch the video on this page for proof! Our CBD Oil For Dogs Review is in video format to show you the results with Xena who was quite terrified of a vicious dog who no longer lived across from her…: Pet Anxiety Relief in the form of CBD Oil For Dogs and Cats – Canna-Pet for Dogs in her case. It’s here and available now! Yes…it not just for people anymore…CBD Oil (Cannabidiol Oil) is now available for your pets! Does it really work? Well watch the video case study of Xena and you will see how she was a dog terrified to go downstairs to pee and after eating the biscuits a new dog emerged! Over time she no longer needed the biscuits to go downstairs but without the biscuits I’m sure she’d still be at the top of stairs afraid to go downstairs! Watch the video above to see how CBD Oil helped Xena with her anxiety and fear of a vicious dog across the street. The problem got so bad she was afraid to go downstairs. I gave her the CBD Oil Biscuit and she went right downstairs without fear! To understand what CBD Oil is and how it can help your pet, you need to understand how it can help people so I included that info to the right along with how it helped me (site owner’s story). It made a big difference in my life after going to western doctors for years and having having the nasty prescription meds pushed on me with horrific side effects making my medical conditions much worse. I finally went to a naturopathic doctor who put me on the right meds to help me with my adrenal fatigue and found out how harmful prescription meds are for a medical condition like adrenal fatigue. So I believe firmly in trying natural remedies first for me and my pets! After you read the info about what it can do for humans to the right, please click on the graphic below to see what CBD Oil can do to help your pet. CBD Oil Helps Me Battle Anxiety, Panic Attacks, Insomnia and PTSD! So as the info in the links I read mentioned smoke shops carry legal buds…I decided to contact some smoke shops local to New England and ask them what they thought of legal buds. Well they didn’t know much about legal buds as legal buds are more common on the west coast but two told me I should find out more about Cannabidiol Oil or CBD Oil as that can probably really help me. I was skeptical at first but once I started to find out more I decided to give it a try along with regular hemp. I found the regular hemp to help when I had mild symptoms. And was amazed how much the CBD Oil helped when I had bad symptoms. It calmed me down. I was able to finally get a good night of sleep. I felt much more rested in the mornings. And I was finally able to work more hours per day. Ironically as I was looking for a medical marijuana alternative…CBD Oil is found in Cannabis . Yes…Cannabis (marijuana) has Cannabidiol Oil which can be as much as 40% of the plant’s extract. You probably ask if it is such a big part of the plant then how can it be legal? The answer is simple. As CBD Oil does not contain THC (which gives the high feeling of marijuana) it then is quite legal to be sold online and in smoke shops. It seems like the only thing that is missing is the high feeling so it provides many medical applications. 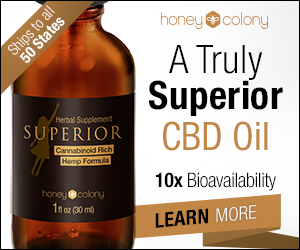 CBD Oil Does Vary in Quality: Some Are Better Than Others! Not all CBD Oils are alike. There’s some that are better than others. There’s also a lot variations to consider (capsules, tinctures, lip balm, seeds, powder, oral applicators, liposomes and more). Dosage amounts vary too. I tried both 300mg and 500 mg dosages and found they helped me. All the CBD products on this page are high quality. If you’d like to try some CBD Oil for yourself as well, please click on an image below for capsules or drops and more product options or the button below these. And be sure to use the 10% off coupon code: 10off. I’d recommend starting off with at least the 300 mg size. 8 Things You Should Know About Pot Cannabidiol – Medicinal CBD cannabis oils are all the rage, but there’s a lot of misinformation out there. Let’s take a look.